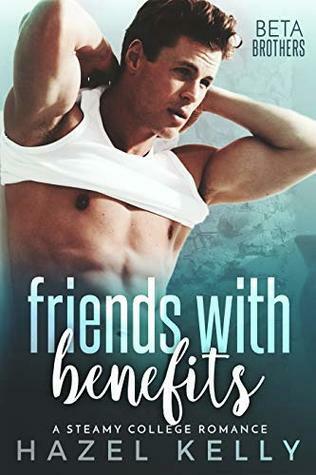 I’m not sure what it is about celebrity romance stories, but I am a sucker for them–especially if they are in the New Adult genre! So this was a must-buy for me and when I found out that the other was Canadian, it was a no-brainer. Overall, I really enjoyed Rumor Has It. I loved Ellie and Mason. While Ellie could have easily gotten on my nerves, she didn’t irritate me. She was a strong, independent heroine and I liked how she handled certain situations (though in some situations I just felt like it went a bit against her character to do what she did–but I was able to get over it). Mason was super sweet and swoon-worthy and there isn’t much else to say about that. I liked that they had more in common than physical attraction but I felt like their relationship progressed much too quickly for my tastes. While I did like Ellie, when it came to certain decisions, I just felt like it went a bit against her character to do what she did–but I was able to get over it. When I was a few chapters in, I knew how the book was going to end. I felt like it was a little obvious but what I didn’t expect was the pathway to get there. It was filled with drama (but not over the top drama which was great) and that made the story a lot more interesting to me. Skye wasn’t a huge character in Rumour Has It but I was excited to read her story in Picture Perfect and when I did get the time to read it, I really enjoyed it. The chemistry between her and Landon was fantastic and the sexual tension built throughout the book. I felt like the book had a good blend between romance and plot–so I never got bored reading it. My only disappointment with the book was that some of the moments between Skye and Landon seemed out of character for Skye. I got the initial impression she was more reserved than she actually was when I read the book–but it really wasn’t a huge deal or turn-off for me when I was reading it though it threw me for a bit of a loop at first. Overall, it was a great follow-up to Rumour Has It and I can’t wait to read book 3, Collateral Damage! This one was easily my favourite of the entire series (even though I got the world mixed up with Laurelin Paiges’ Lights, Camera Series universe). If I hadn’t been on vacation and busy doing activities, I would have devoured it in one sitting. It was exactly what I needed to read when I did. I thought the characters had great depth to them and I enjoyed the equal focus on their own development as individuals as well as the romance. Calder and Francesca were not only a great match for each other but they were intriguing on their own. The sexual tension between them was great and I loved how it was supported by a real emotional connection. You really wanted to see them work it out and succeed. Things happen fast though in this novel and there isn’t too much to the story besides this couple trying to form. I wanted certain plot aspects to be address, not swept under the rug but I suppose that it was more “realistic” with the approach it took. Nevertheless, I enjoyed reading this lighter romance novel from start to finish. This series is a great quick but solid celebrity contemporary romance series. Enjoyable from start to end, this is a great choice for a lighter romance read.